Now that 75 percent of screen time is spent on connected devices, digital strategies have moved front and center of most marketing plans. But what if that's not enough? What if most people ignore company messages? What if consumer engagement never goes further than the "like" button? A sobering reality is hitting marketers. Technology hasn't just reshaped mass media, it's altering behavior as well. And getting through to customers will take some radical rethinking. First step is to toss the linear plan. 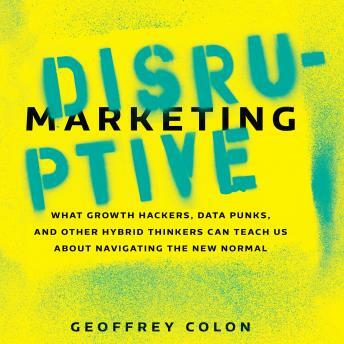 Next is to strip away conventions, open your mind, and join Disruptive Marketing on a provocative, fast-paced tour of our changing world . . .